CBD Oil for MS: Can CBD Oil Help Manage Multiple Sclerosis Symptoms? Can CBD Oil Help Manage Multiple Sclerosis Symptoms? Every single week, another 200 people in the United States are diagnosed with multiple sclerosis. The diagnosis can feel crushing and hopeless, but new research is unveiling a potentially new potent treatment that can give you or a loved one you know some much-needed hope: Cannabidiol oil (CBD oil). Medical marijuana has two major active ingredients: Tetrahydrocannabinol (THC) and cannabidiol (CBD). The latter is the second most prevalent in medical marijuana, and while it has very strong medical effects, none of CBD’s effects are psychoactive. In other words, while it comes from marijuana, it won’t get you “high.” At least not in the traditional sense. This comes as welcome relief to those who are still wary of marijuana. In fact, CBD oil typically does not contain THC (the active ingredient associated with marijuana highs). Even though CBD comes from medical marijuana, it may still be legal in states that haven’t legalized marijuana itself. Unfortunately, the laws and regulations leave much to be desired in terms of clarity on this issue. All 50 states in the U.S. have legalized CBD, but the restrictions surrounding its use vary widely, which – along with the unclear federal regulations – leaves many consumers with multiple sclerosis (MS) confused. It doesn’t help that some CBD medical supplements come from legal hemp, and not marijuana, which further clouds the picture. If you’re considering using CBD oil for MS, consult a legal professional on your options. One in five people with MS told the MS Society that they use CBD oil or other marijuana products for their MS. According to the society, some of the most common benefits include reduced stiffness, lower levels of pain, and fewer muscle spasms. “I’ve been using [CBD] for close to eight months now, and I can honestly say it’s made a huge difference in my life,” says Devin Garlit, an MS patient who shared his story with Multiplesclerosis.net. He found it impacted his MS symptoms when he used it regularly. New research – of which there is admittedly not a lot, due to the relatively recent legality surrounding medical marijuana and CBD – continues to back Garlit’s experience as more than just anecdotal. CBD oil may help to “counteract the development of experimental multiple sclerosis (MS)” by affecting the pathways in immune cells. Just because it’s “natural” doesn’t mean it is risk-free. 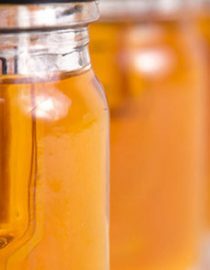 While many people claim that CBD oil is safe, some people may have adverse side effects. This may include mood changes, such as irritability, as well as fatigue and nausea. Before taking any supplement or treatment, it’s always important to discuss your options and your plans with your doctor or medical professional. This is especially true if you’re already on other medications, as medications that are “safe” on their own may affect other drugs in your system. For example, if you’re on some blood thinners, CBD oil can raise your blood levels of these medications. If you’re considering CBD oil for MS, (i.e., to treat stiffness, pain and muscle spasms) work with your medical professionals to create a plan that’s safe for you and your personal MS journey. Multiple sclerosis treatment options depend on what type of MS you have, but it may involve medication, complementary therapies, and lifestyle changes. My wife takes Adagio for her MS. Can she take CBD with it? Cyndi zimmer and all the rest of us wh9 have MS I saw this in a store by my sons house. Has anyone talked to their neurologist about it? How can I get CBD oil to try ? I have MS.
Cheryl Barile Smoke shops carry it now too. The one I go to has the oil and gummies at different strengths. Thank you . I want to try. It helps my mom with her appetite and leg pain (she’s more mobile than she has been in years). I am definitely going to ask my neurologist about CBD oil use for my MS. The more I use the better it seems to help, especially with my never ending nausea!